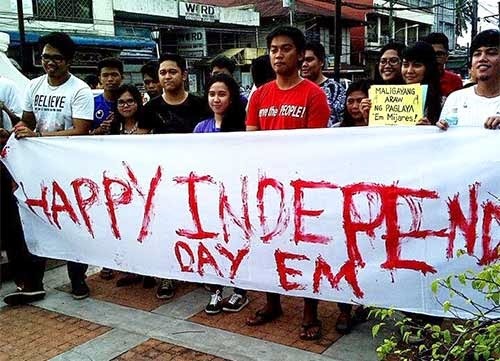 NAGA CITY—Araw ng Kalayaan came one day late for Pio Emmanuel Mijares, the Ateneo de Naga University student who was arrested for interrupting President Benigno Aquino III’s speech yesterday. Mijares, who captured the attention of many Filipinos for his act of protest, was released late this afternoon from his detention cell at the Naga City Police Office. Through a representative, Mijares presented a cash bond of P2,000 for one case, and P6,000 for another, totalling P8,000. He is facing two criminal charges for alleged violation of Articles 148 and 153 of the Revised Penal Code, or tumults and other disturbances of public order, and assault upon an agent of a person in authority.